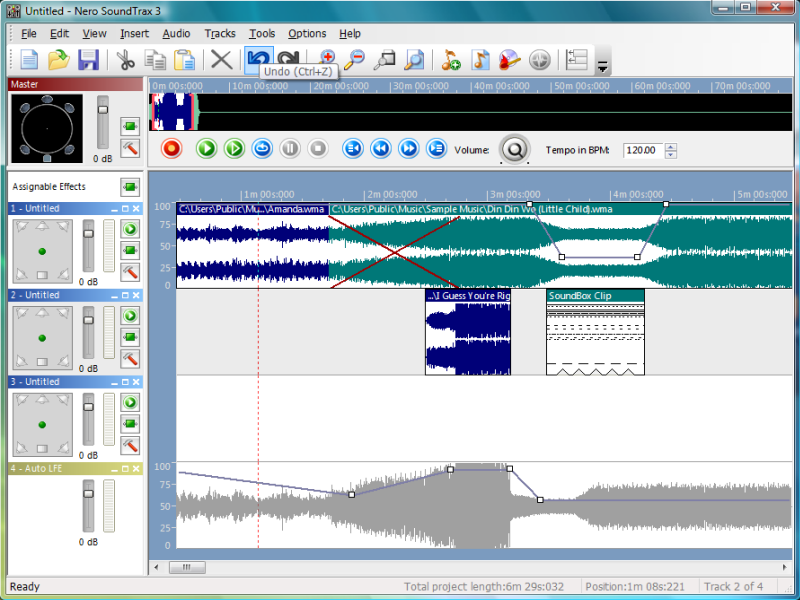 With Nero SoundTrax, the user can mix his own special audio CD compilation and change it at will. Instead of simply playing a list of tracks one after the other, this program makes it possible to fade the tracks into each other and adapt the speeds to create an optimum mix. Now you can be your own DJ. Everyone can create unique disks with a large range of additional effects. Nero SoundTrax also has several assistants to make recording from tapes and records child's play. In a few easy steps, the complete old collection can be digitalized and available forever in top quality. Thanks to the many templates, even demanding projects are no longer a problem: 5.1. Surround, 7.1 Surround - simply select the template and Nero SoundTrax opens along with the relevant tracks. In addition, the integrated Nero ScratchBox provides user-friendly functions for mixing and scratching.